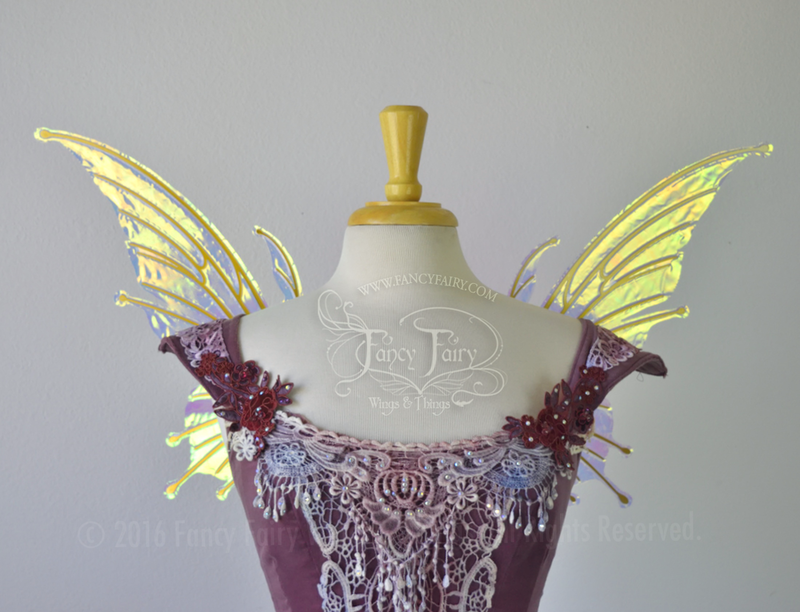 2 More Convertible Fairy Wings for Saturday's Flash Sale! 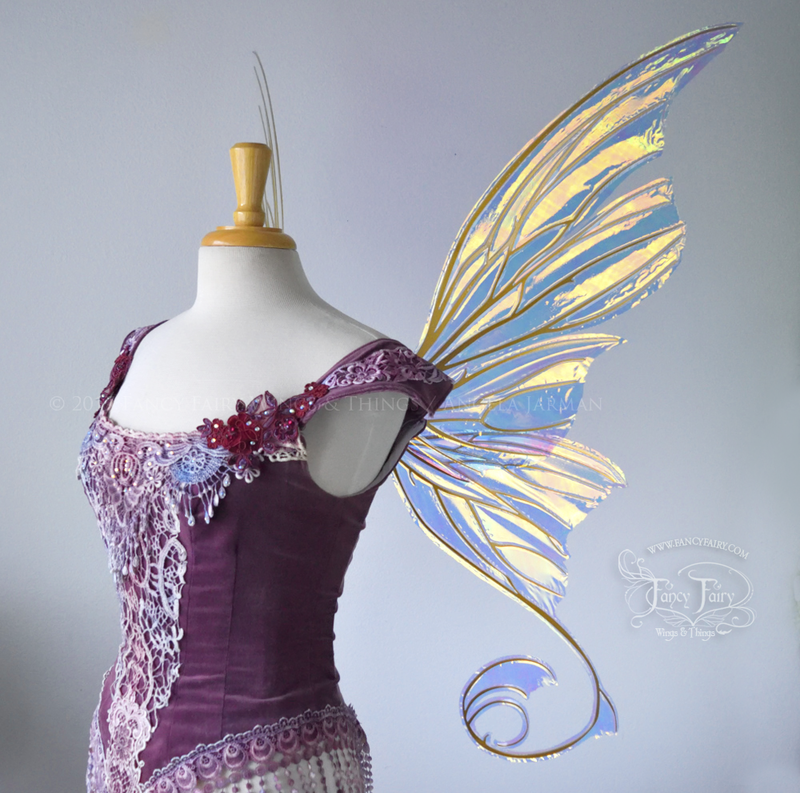 Pumpkin spice and everything nice, that’s what this 1st set of wings are made of! 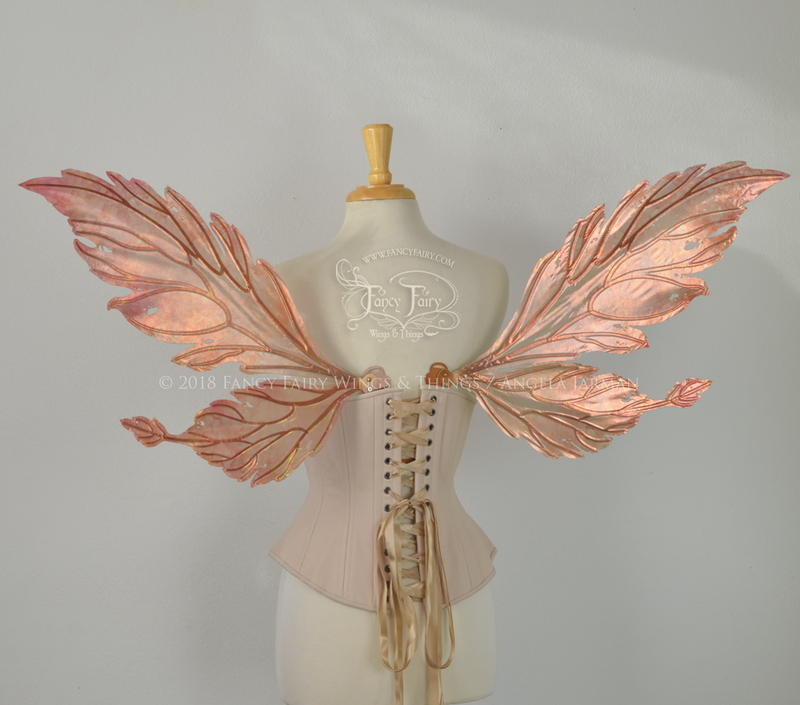 Well, okay not really made of spice but they WOULD be perfect for a pumpkin spice fairy, were one in need of wings. Hand inked in an organic watercolor-like finish in rusty orange, cranberry and slight hints of green on the Rose Gold film with copper veining to give them the appearance of turning fall leaves. The 2nd set in this post are on the cool side. 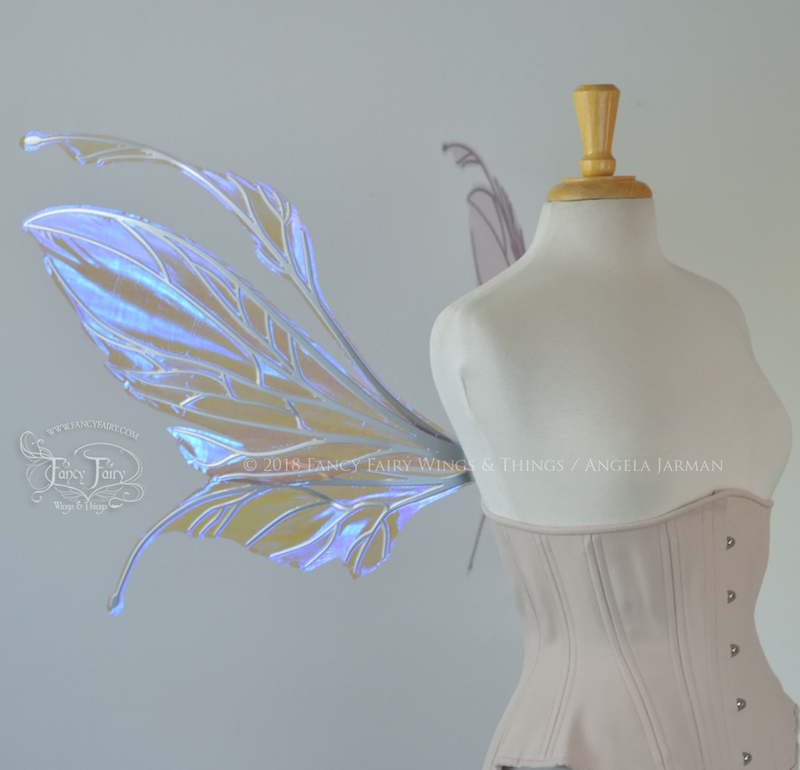 The Datura convertible wings are made in iridescent Lilac with silver chrome veining, giving them an especially delicate and ethereal look. 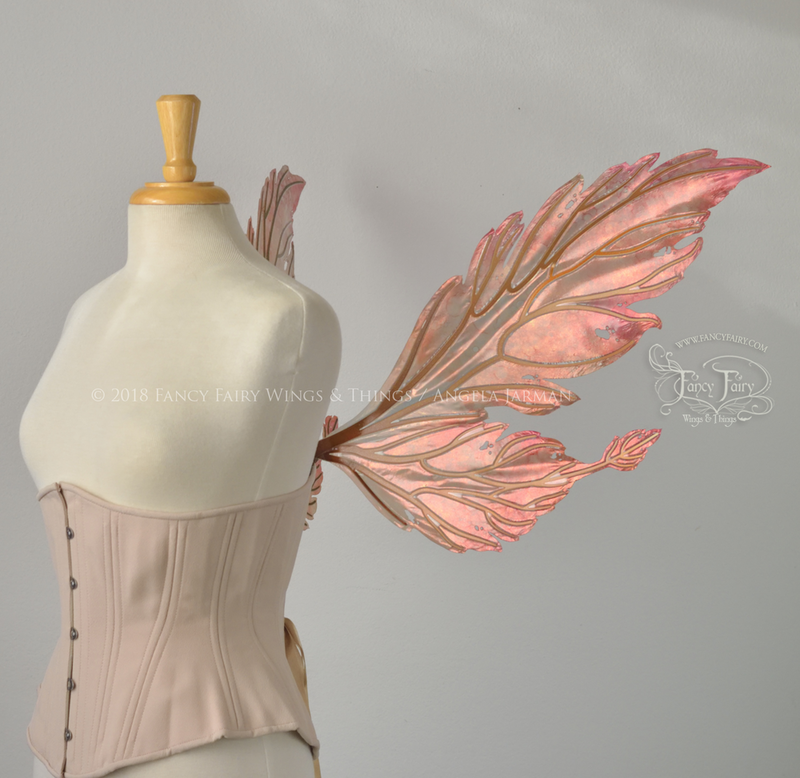 I will also have a set of large Aphrodite and small Flora wings listed, with the old school U brace that does not have the convertible option to fold down like the new collection. 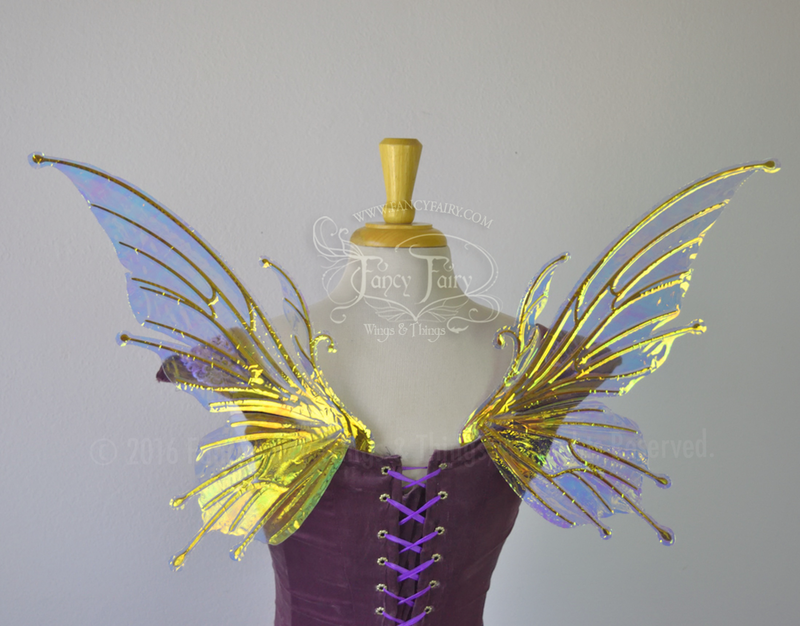 I didn’t have time for photos but they will look just like these previously made wings in the photos below. 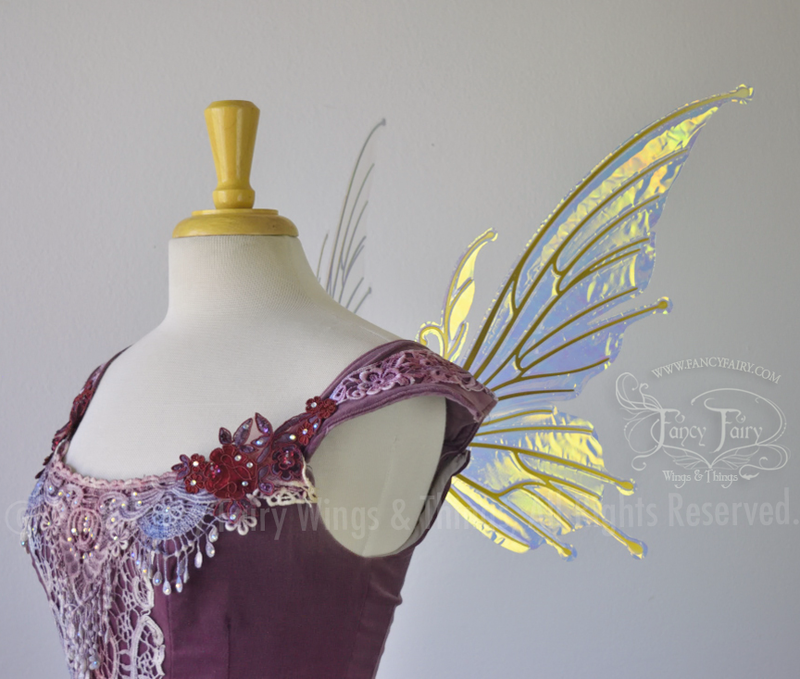 The Aphrodite wings have the old gold frames, the small Flora wings have the double coated candy coat gold veining, and is a little paler than the old gold ones in the photo. I know these sales have been pretty small, so again I’ll have the 2 wing per customer & 12 wings per year limit for the first half hour. After that, all limits are lifted. The sale starts at 12pm noon Pacific Standard Time tomorrow, Saturday Sept. 21. Remember, be there right on time and it supposedly helps if you are registered with my Shopify store as a customer.